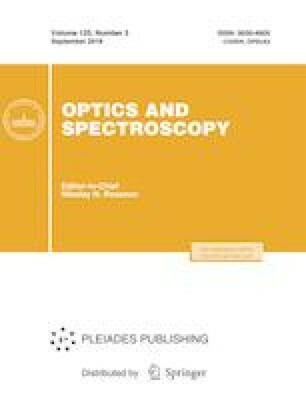 The spectral and kinetic properties of water–ethanol photochromic systems of photochromic compounds from the classes of spiropyrans, spirooxazines, chromenes, and diarylethenes with and without silica nanoparticles have been comparatively studied. It has been found that, depending on the structure of a compound, its molecules can interact either chemically or physically with the surface of nanoparticles. Original Russian Text © V.A. Barachevsky, O.I. Kobeleva, A.M. Gorelik, M.M. Krayushkin, 2018, published in Optika i Spektroskopiya, 2018, Vol. 125, No. 3, pp. 348–352.